Jokes aside, I am a professional magician who's performed across the country, I've even opened up for Las Vegas Headlining Act Anthony Cools TWICE at the age of 21. 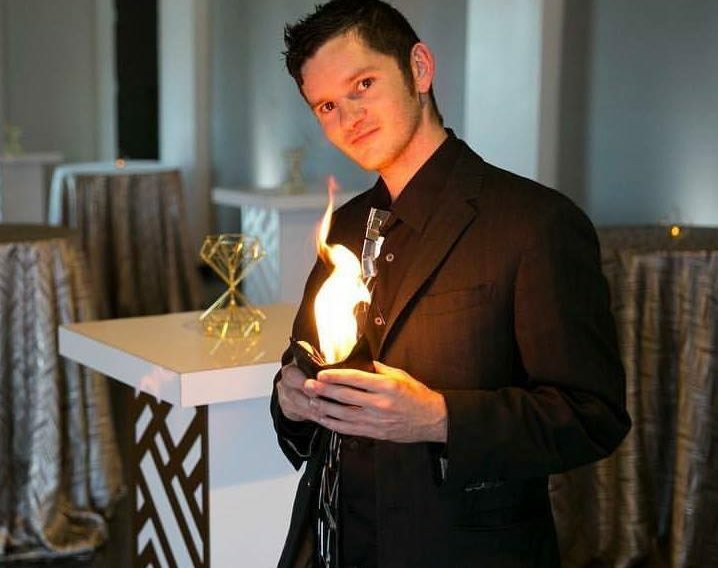 Well if you are from the Tampa Bay / Central Florida area, then you KNOW he is the best upcoming magician that will make you reconsider believing in magic! Cory’s ability to connect with each individual in an audience truly makes it an experience remembered for many years. From his on-the-spot humor, to his mastery of his craft, Cory Van Valin’s best magic trick is bringing back that child-like love and wonder for magic that we’ve all had growing up! Cory has handled hundreds of shows at a multitude of venues ranging from all over Florida to Las Vegas, Nevada. He is capable of pleasing crowds of all demographics at birthday parties, VIP events and everything in between. Cory has been named Tampa Bay’s Top Up & Coming Magician by 93.3 flz, and has performed for many celebrities and well known companies in the 5 years he’s been performing, and has even opened up for the headlining act in Las Vegas!